Well, this has been quite a week. For an unexpectedly moving (or maybe it’s just me?) 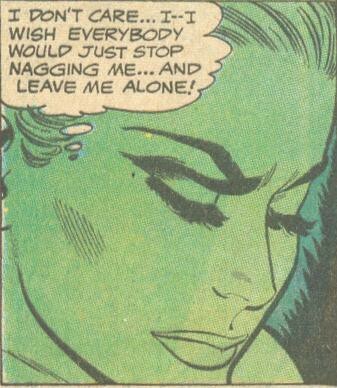 four- or five-minute vintage comic book read before you go, here’s an abridged version of “Abandoned!” (from a 1969 installation of Girls’ Love Stories), which comes, of course, from the always fascinating (I cannot let go) Sequential Crush. Have an excellent weekend, and we’ll see you back here on Monday.